EP 47: How Do You Sustain Passion for What You Do? Sustaining the passion for what you do in business. 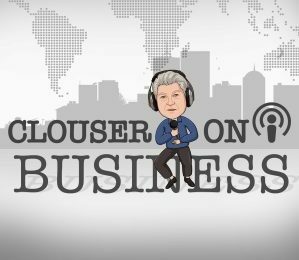 CLOUSER is interviewed by Heidi Bird about how he keeps the drive going to get up and go at it every day. Heidi asks the host questions relating to how he has stayed motivated and his advice on what motivates others. This podcast summarizes wisdom from a few previous guests and expands upon how business owners can do things to engage and invigorate employees to stay in tune to what motivates their employees.